Using natural materials for decoration have the greatest power to create most inspiring, loving and environmental friendly spaces. There are millions of things you do using the gifts from nature at your home like stones, wood, metal, grass, cotton, wool, linen materials. The biggest advantage of this materials are they get along perfectly fine with the other materials around. They are a great calmer for eye and soul. It’s simple positive natural tranquility creates a true wabi sabi style while creating a fine natural glamour without so much effort. 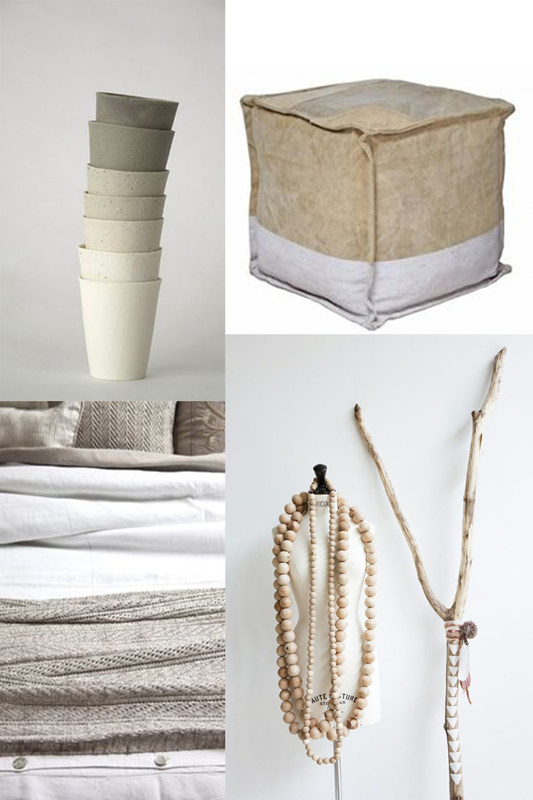 The natural palette really do not have to be all about brown, beige and white. Chalky neutrals, coastal neutrals, grass greens, grey shades of stone they are all counted as a great tones of natural color groups. 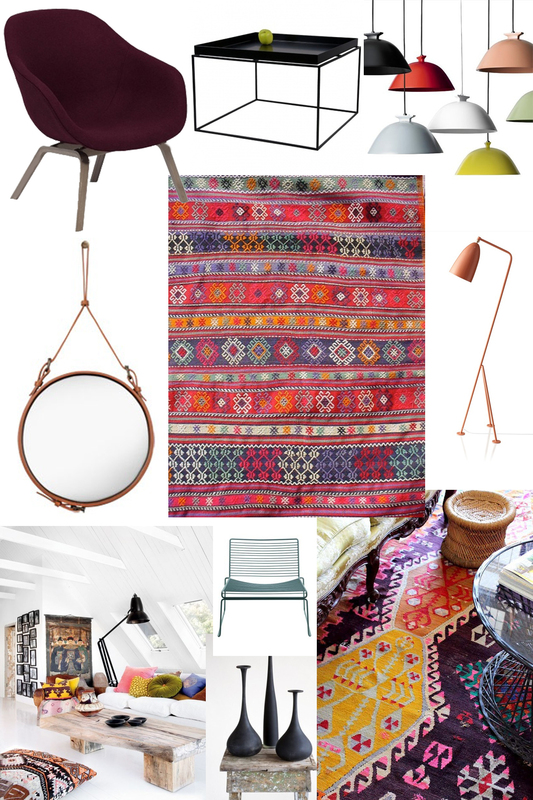 I don’ t remember any fashion or interior trend color of the year palette skipping the beautiful shades of nature. 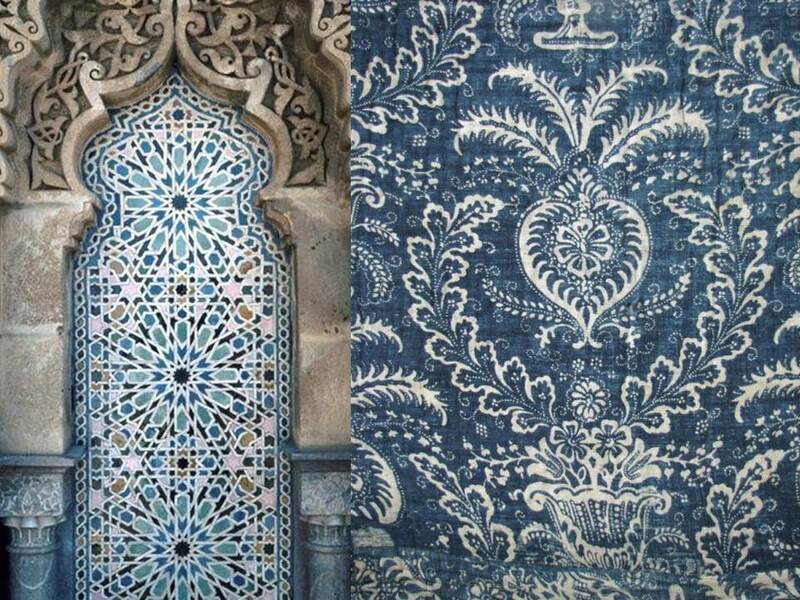 They really do have a tremendous effect on balancing or accenting the colors used next to it and be the most inspiring subjects of design. It is a smart trick to keep walls and floors as plain as possible to enhance the beauty of natural textures and layers. 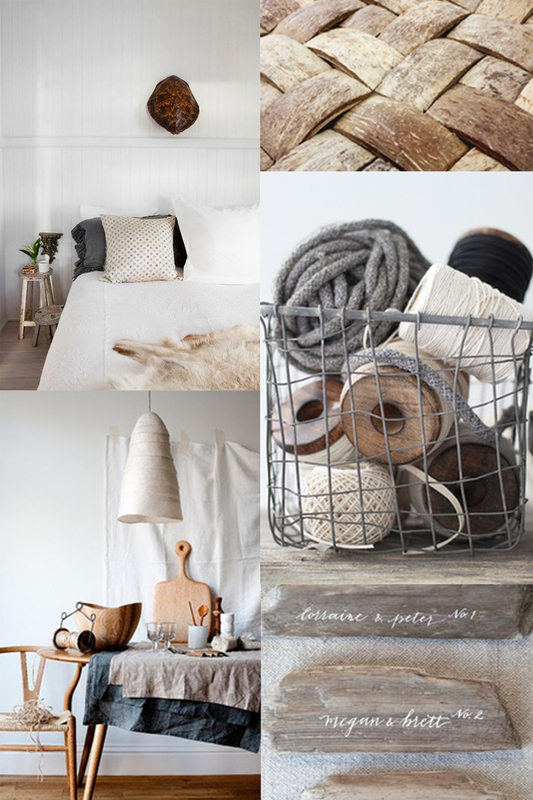 The warm senses of natural textiles, pillows on wooden benches and furnitures look amazingly comforting. Lightings and accessories made of basket is a good complement to the sensual natural decoration. 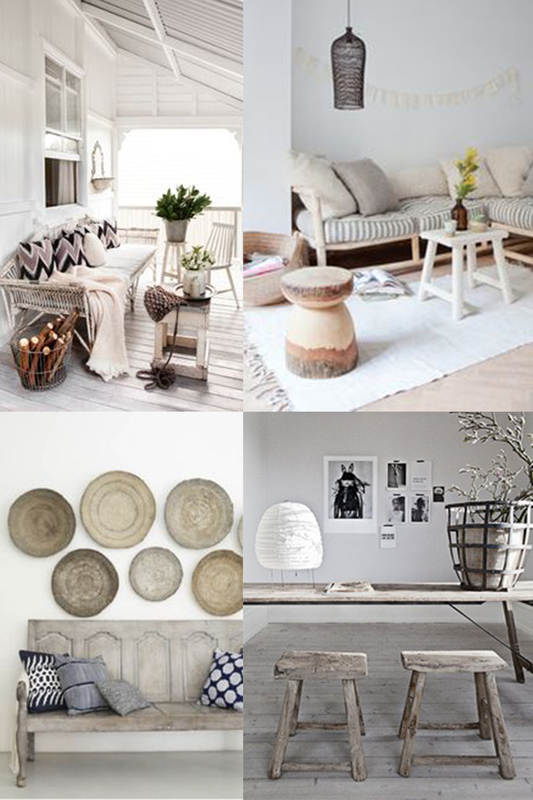 Furnitures made of reclaimed wood, chunky tree-trunk stools, wooden palettes creates strong visual effect when used with soft materials like wool, sheepskin and contemporary modern pieces of furniture. This is beautiful! And I love the idea of not only using nature to inspire your design but also natural materials to create an eco-friendly space. Nature has so many rich things to share with us we need to gratefully accept the gifts they are giving us! Thank you, Rebecca! We are glad to know that you share our own thoughts on the matter. 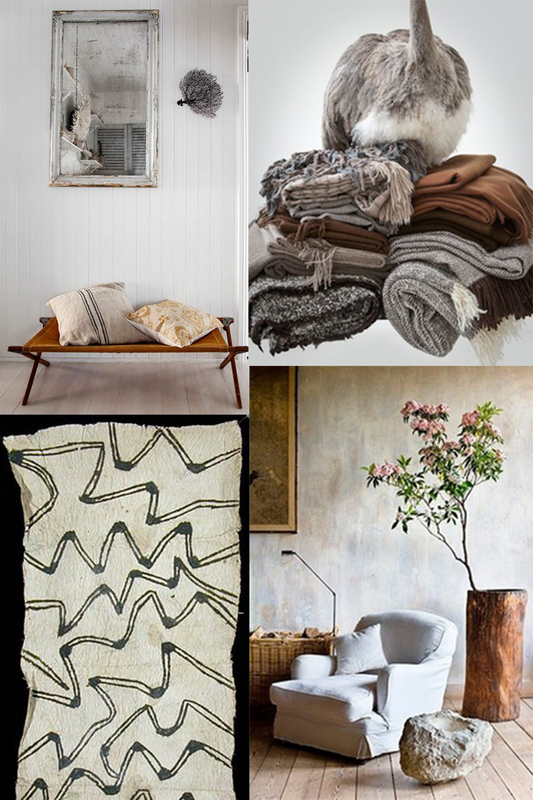 Talking about nature and natural materials, have you seen our new collection of rugs in Mohair of Angora goats? 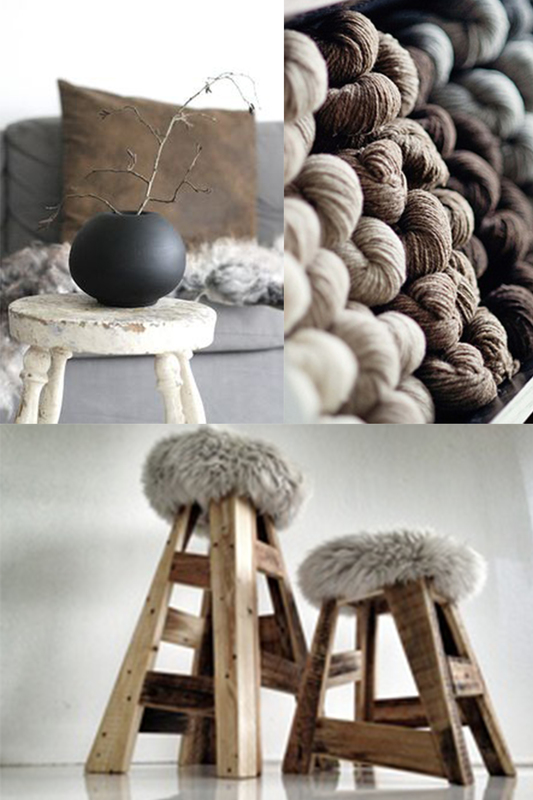 You can download the Mohair catalogue here: http://hubs.ly/y08XZN0.